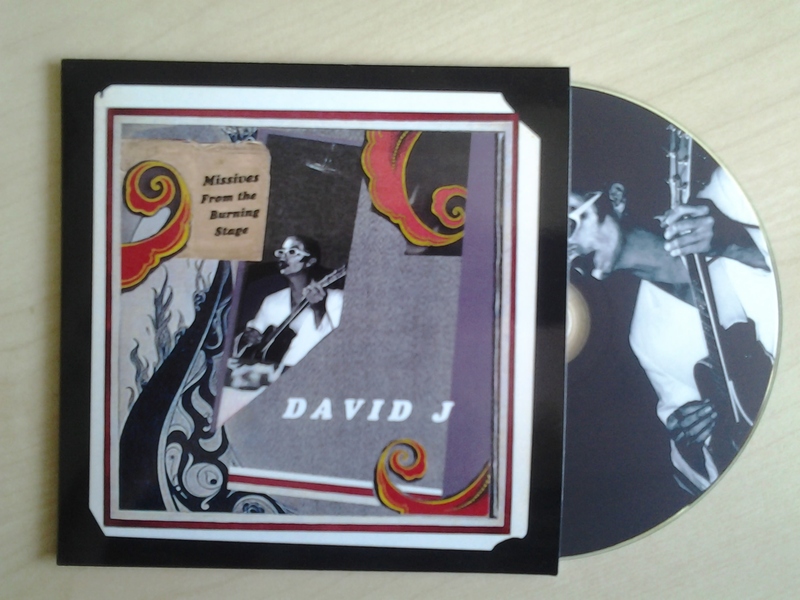 Limited edition bonus CD for David J‘s ‘An Eclipse of Ships‘ Kickstarter campaign. Includes two previously unreleased covers (Androgynous, Falling In Love Again), alternate versions of two Alan Moore penned songs (Song From The Kitty Kat Keller, This Vicious Cabaret) and reworked version of Love And Rocket‘s Ghosts Of The Multiple Feature. 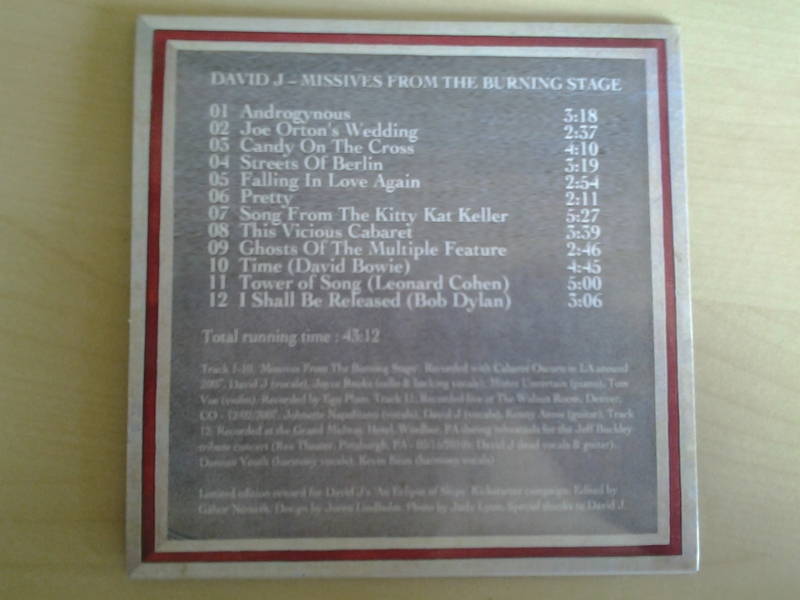 Recorded with Cabaret Oscuro in LA around 2007. 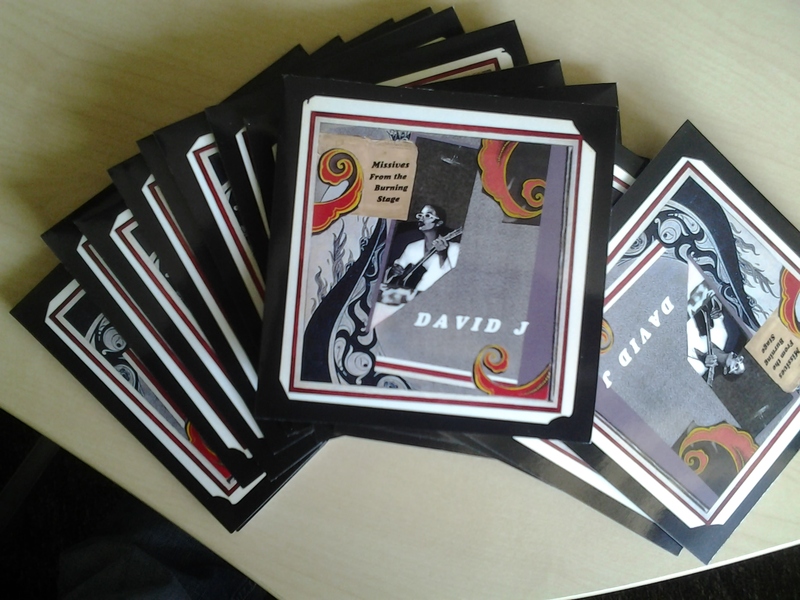 Special thanks to David J.